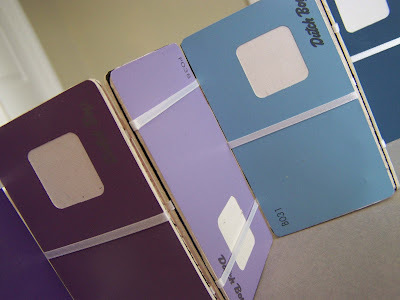 My husband and I have quite a large collection of paint swatches. I acquired quite a large stash when we were engaged and I was choosing our wedding colors. I added to the collection when we bought our home and chose wall colors. I wouldn't say that I am a pack rat, but I do have a difficult time throwing away things that I know that I can repurpose. 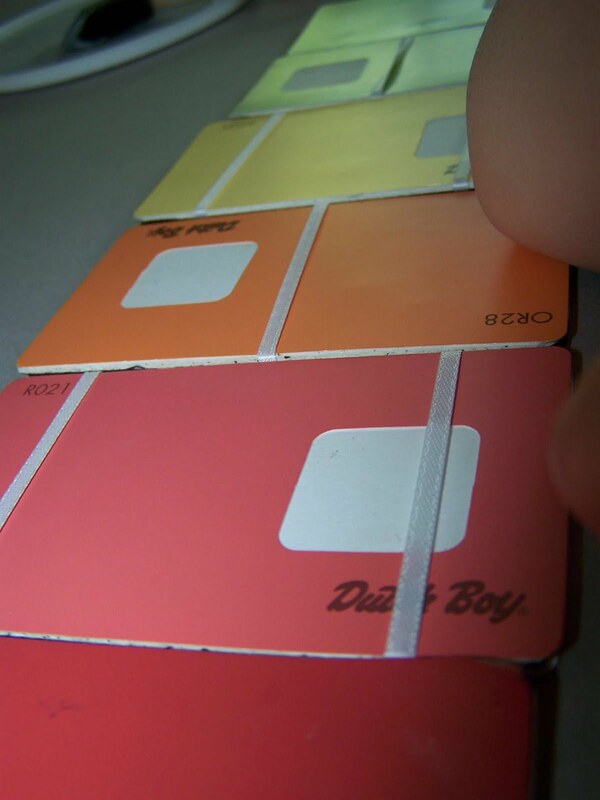 Just the other day I was going through the paint swatches with my son as we were talking about colors. 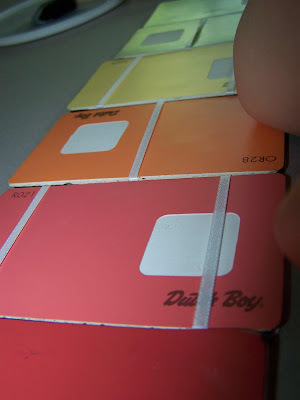 I love these Dutch boy swatches because they have small openings in the side. I'd ask him to find something that was a specific color and we'd place the paint swatch window on different objects until we found something that was the same color. While we were doing this activity I decided that it would be fun to make a Jacob's ladder out of them. They are just the right size and shape. I'd made a Jacob's ladder once before and had really enjoyed the project. I thought that you might want to make one with your family as well. This project can be made with using mostly scrap materials. You will need paper of some sort, this could be family photos, paint swatches, magazine pages, scrap book paper, coloring book pages, ect. You will also need some board to adhere your paper to. You can use book board, illustration board, wood boards cut to size, but I used some old mat board that I had on hand. You will also need glue of some type (PVA or a tacky craft glue), tape, and three strands or ribbon. If you want to give this project a try you can find my instructions here. If you have questions let me know. As I was writing up the instructions I realized that I failed to take a couple of pictures...so if there is any confusion I'd be happy to answer any questions. I thought that this Jacob's ladder project was a fun way to introduce my son to colors. When I showed it to my husband he said...oh cute you put warm colors on one side and cool colors on the other side (I've taught him so much). That is awesome!!! My son has a toy like this and loves it, thanks for the great idea! How very crafty, cute and creative! Thanks for sharing at It's Party Time Thursday at PonyTails&FishScales! Oh I love this. How creative you are. I wanted to stop by & tell you how awesome you are for giving Bella those adorable pictures for her giveaway. What a great friend. I am a follower of your blog now.